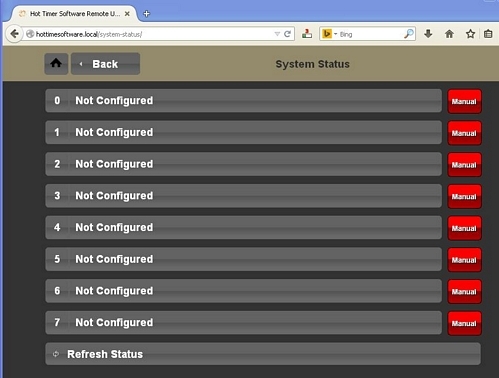 Control your timing system on your tablet, computer or smart phone via your web browser. - Connect to your network with a LAN line for direct cable connection. 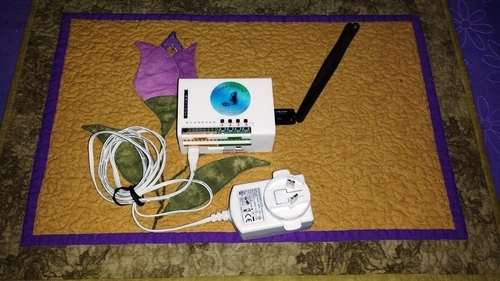 - Connect to your tablet, smart phone, or any WIFI enabled device when there is no network available. You can then access from anywhere in the world. You can control 2 channels using onboard relays or control up to 8 channels with an add on relay module. 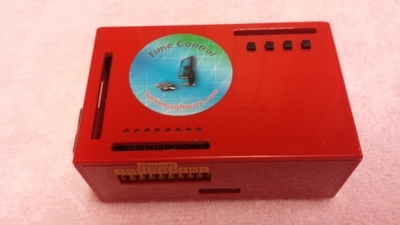 - Time Control can have unlimited timing per day, with auto or manual functions. - Perfect for Lighting Control and Irrigation Control. - Suitable to control bells, buzzers or your factory break bell system. Each controller purchased is supplied with its own power supply, aerial and network cable. The power supply has four changeable heads for UK, EUR, AUS & US regions. If you would like to try our controller we actually have a demo setup that you can switch from anywhere in the world. 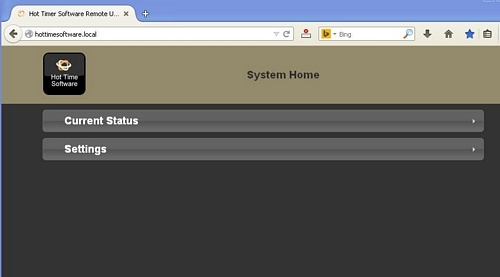 Just contact us and we will send you a link so you can actually test and schedule the controller to see how easy it is. 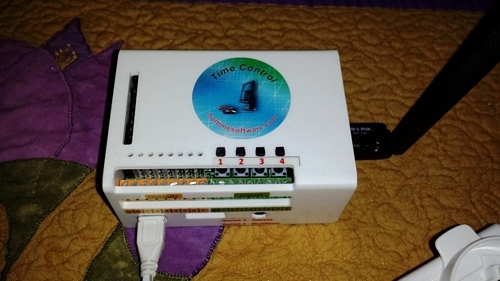 Example video of using the Time Controller. 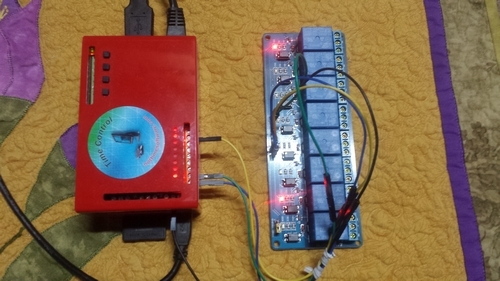 Example of the Time Controller with a relay module. There are two versions available as shown in the picture below. 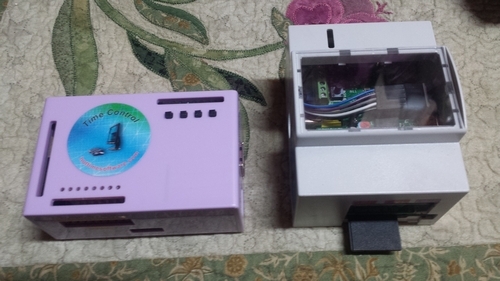 A box type enclosure in different colours (left) or a din rail type enclosure (right). Please contact us if you would like to purchase the din rail type and for more info. Controlling the relay module with the time control. Time Controller with aerial and power supply, ready to operate.